Spring means green – literally and figuratively. When the weather warms and grass starts growing, building begins and business gets busy, your livelihood in full swing. One way to keep green in the business pocket it to keep the building site green too. 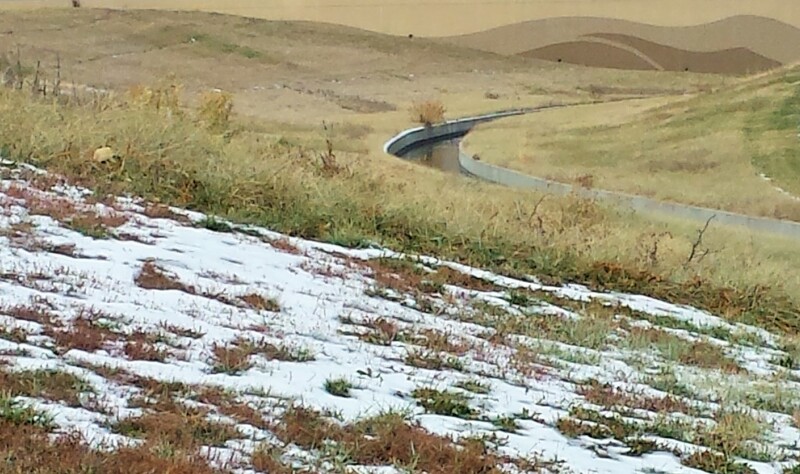 Vegetation slows stormwater runoff, slower velocity keeps more sediment on site with less shearing water force. Vegetation spreads storm runoff across a wider area, preventing the concentrated flows that cause rills and gullies. 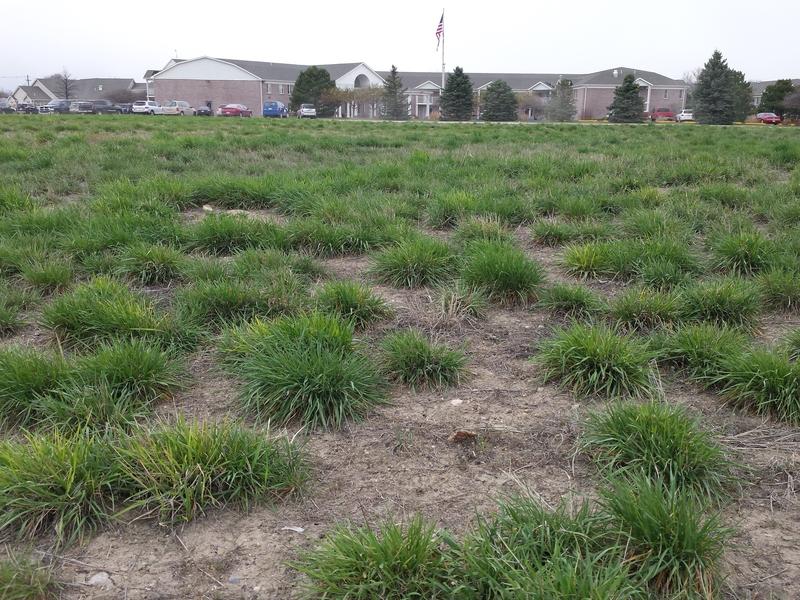 Vegetation helps stormwater soak in, reducing runoff and protecting your site from erosion. Vegetation can be utilized in a variety of ways as a BMP. First, preserve as much of the natural vegetation as possible. Let the grass remain around the borders of the site, against the street, under the stockpiles, and any other spots on the site that do not need to be disturbed. Second, if there is bare ground that will be untouched more than 14 days, re-seed it with grass seed mix. The grasses germinate and sprout in 5-10 days when soil is moist and ground temperatures are about 50 degrees Fahrenheit or warmer. Third, seed for final stabilization as soon as all soil disturbing activity is complete, instead of waiting until the end of the project. Using vegetation for final stabilization of a site not only provides effective stormwater management but also makes a site more natural and aesthetically pleasing. One key to effective vegetative BMPs is choosing the proper seed mix for area. In the Panhandle, a mix of drought tolerant annual and perennial grasses is preferred. Jim Neuwirth, owner of ABC Nursery, often mixes a variety perennial wheat grasses or thick spike weed with barley or oats. The annual vegetation, barely or oats, grow quickly and knit together to form a quick cover over the ground. 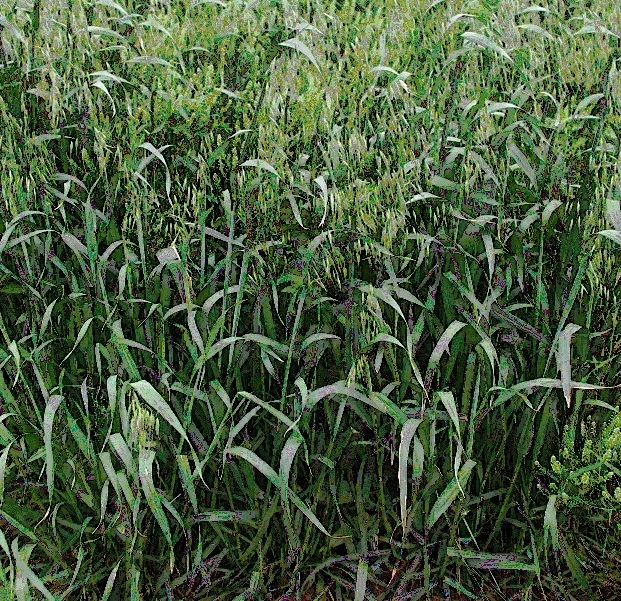 The perennial wheat grasses develop more slowly under the the cover crop, establishing deep root systems that will sustain the plants and provide cover year after year. The second key to successful vegetative stablization is timing. Neuwirth has seeded throughout the year by tailoring the grass mixes for the conditions at the time. For example, using barely when seeding in cooler seasons and oats in the warmer seasons. He’s planted dormant mixes in fall and early spring allowing for a quick cover to establish and the perennial grasses to germinate later. More important than the seed mix, Neuwirth notes, is the moisture level in the soil. Water is crucial for germination and growth. Seeding with a polymer to hold moisture or the luck of a well -timed rains storm can make or break the success of a seeding that is sown and left to grow. Irrigation, on the other hand, dramatically increases the success rate of a vegetative cover to germinate, establish, and become self-sustaining. Neuwirth recommends irrigation to establish the cover, citing irrigation also reduces both risk and future costs for the contractor. Using vegetative cover also provides a sense of place and beauty, an intangible benefit for a property. Seed mixes are typically designed with the site’s function and owner’s preferences in mind. The vegetation used can make the site more distinct, attractive, and environmentally sustainable. Neuwirth likes to add wildflowers to a seed mix if the site is highly visible. The sense of a native Panhandle prairie is more attractive with a splash of color and adds another dimension to the site. Green grass, green building, and green in the pocket – all are advantages of using vegetative cover as a construction BMP.